One of the world’s great meditation teachers offers guided exercises that will bring both beginning and experienced practitioners into closer touch with their bodies, their inner selves, their families, and the world. In this revised edition of the classic text, five new meditations show readers how mindful consumption and mindful actions can help prevent suffering and water the seeds of compassion; how to be in touch with our Buddha selves; and how to deepen our relationships with our parents. 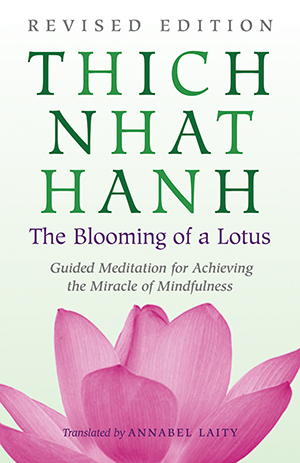 Compassionate and wise, Thich Nhat Hanh’s healing words help us acknowledge and dissolve anger and separation by illuminating the way toward the miracle of mindfulness.